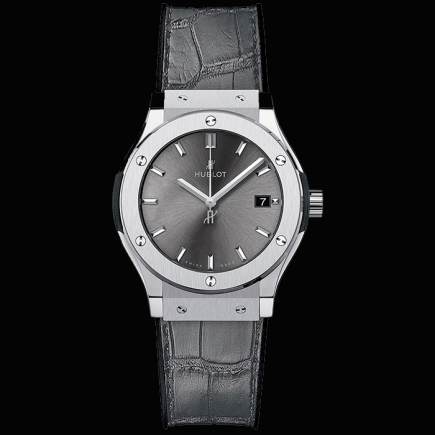 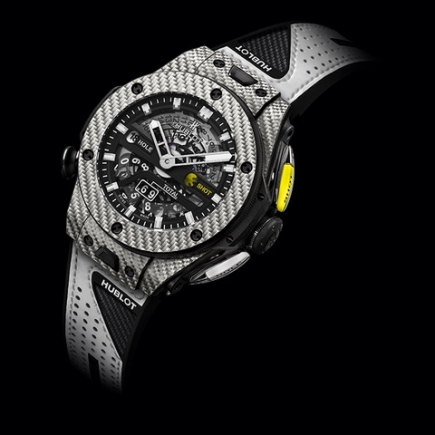 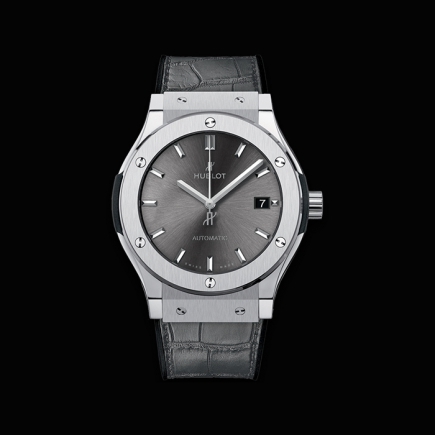 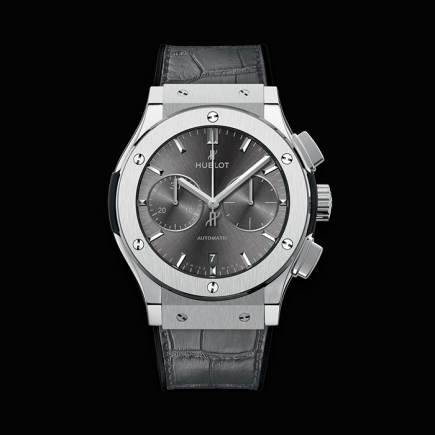 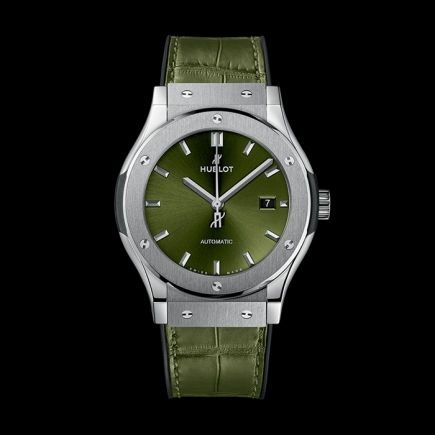 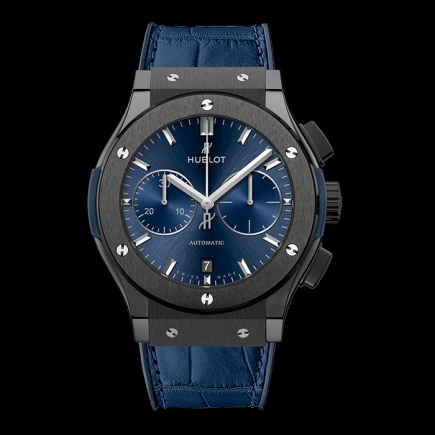 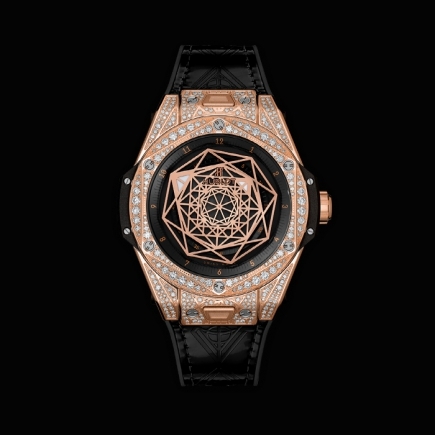 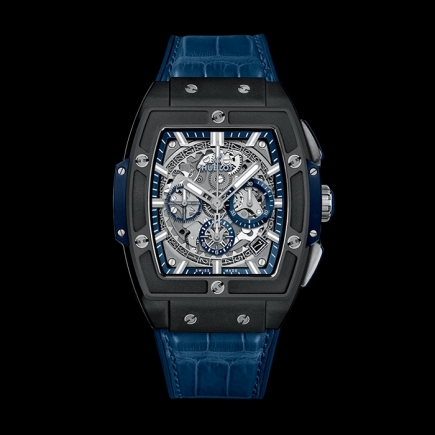 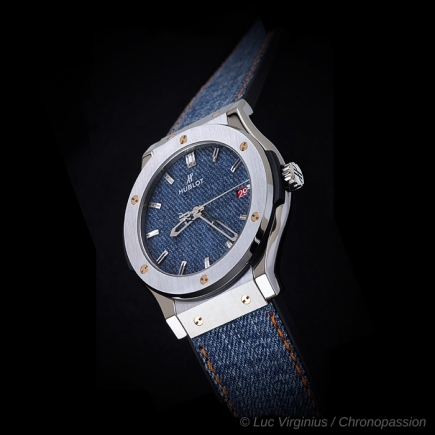 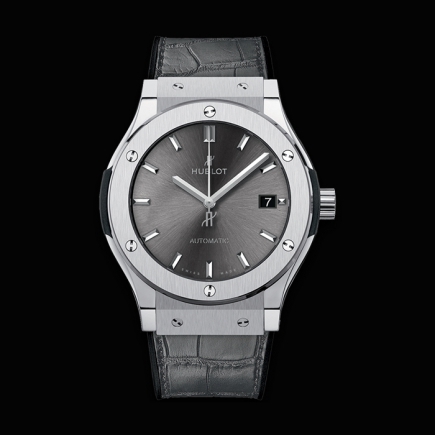 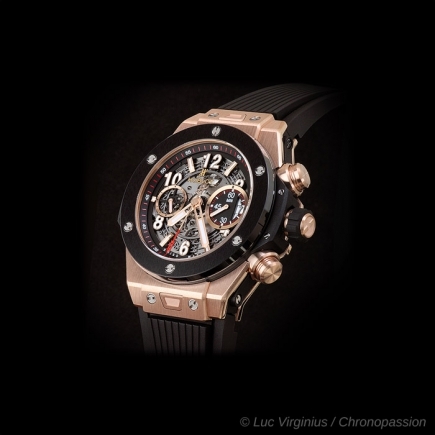 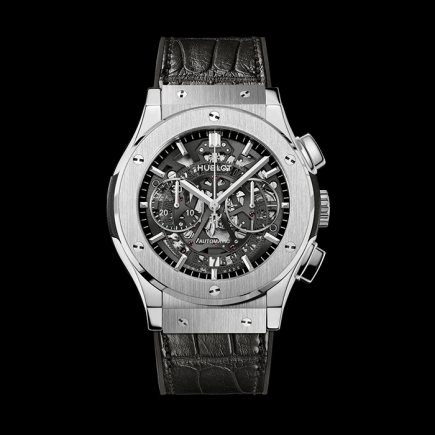 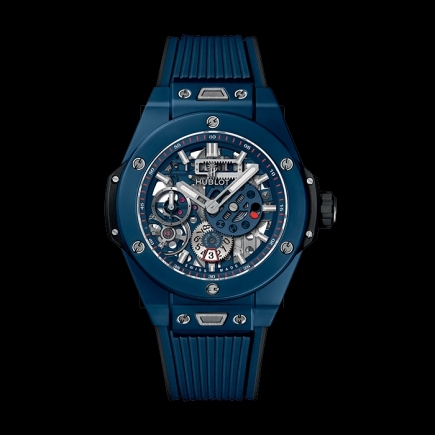 hublot | 19'600 € Tax inc.
Plates, axes, wheels, gears : Let your imagination run free. 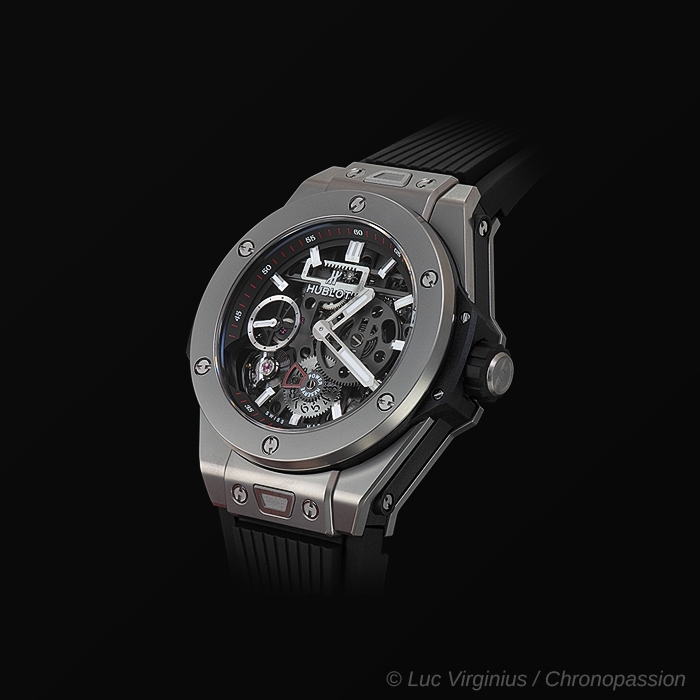 For all those who spent hours building and dismantling technical constructions, experimenting in the engineering world, the Big Bang MECA-10 offers itself as a transitional object. 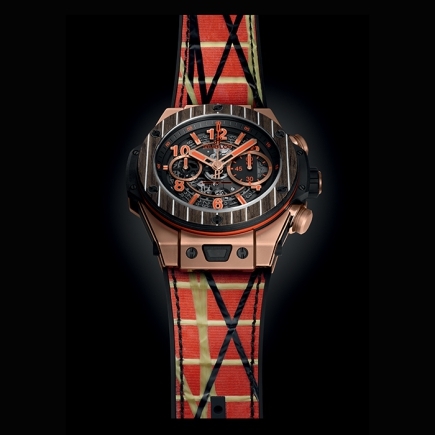 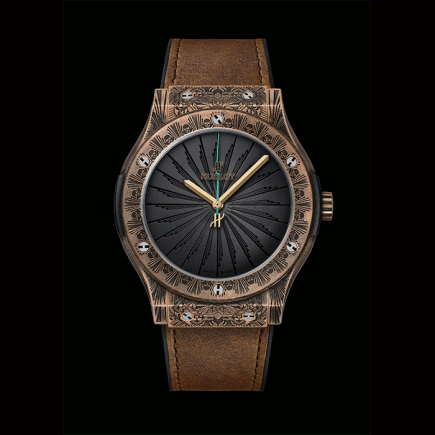 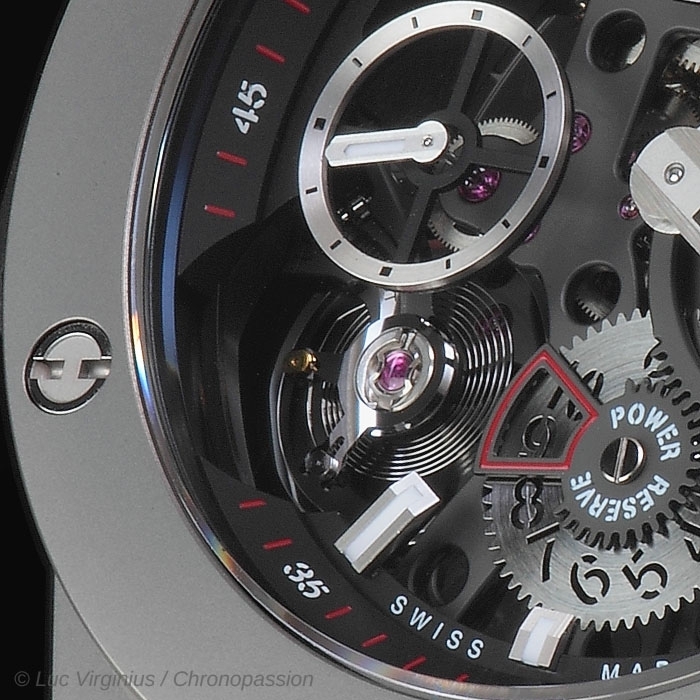 It took two years to develop and refine a new manufacture movement with on-board mechanics. 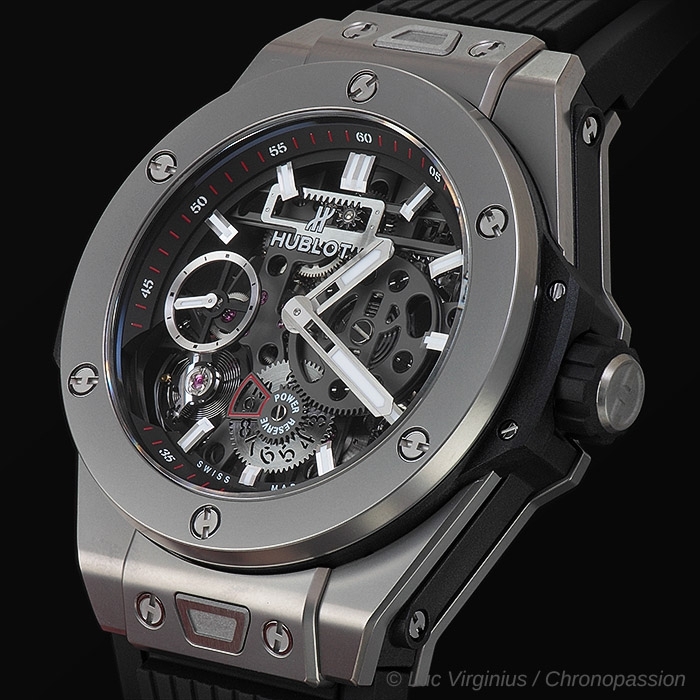 Atypical architecture with Meccano-type design. 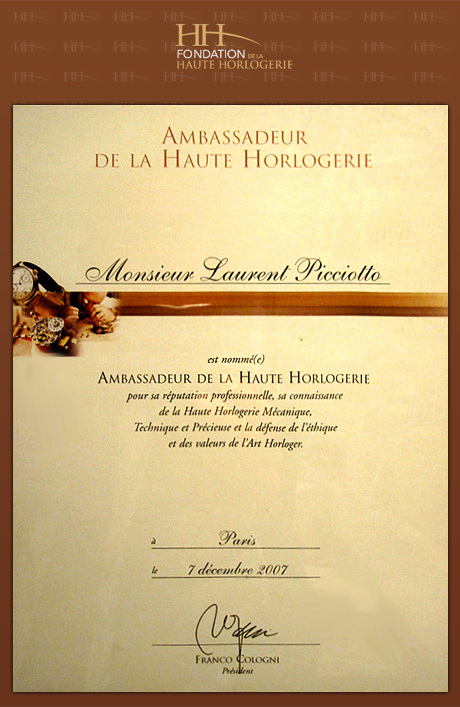 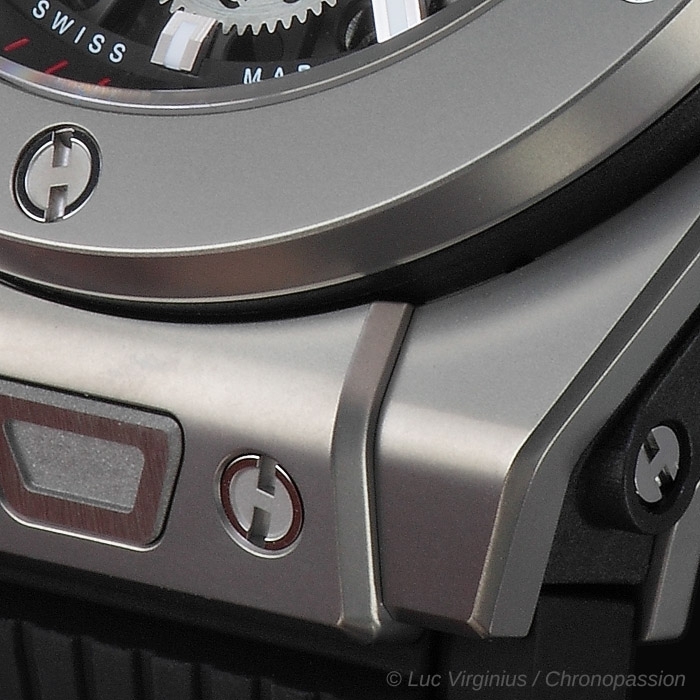 The movement is fitted with two parallel barrels with a power reserve indicator using a rack system. 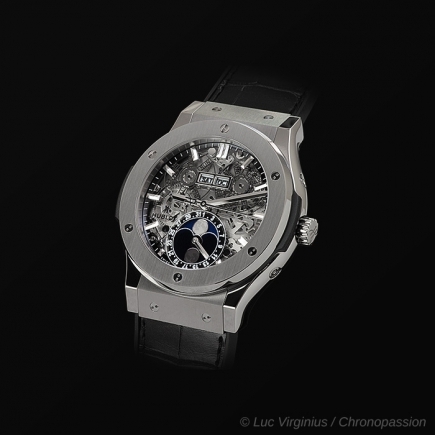 At 12 o’clock, two racks slide on a 9 o’clock to 3 o’clock axis thanks to a rack and pinion system. 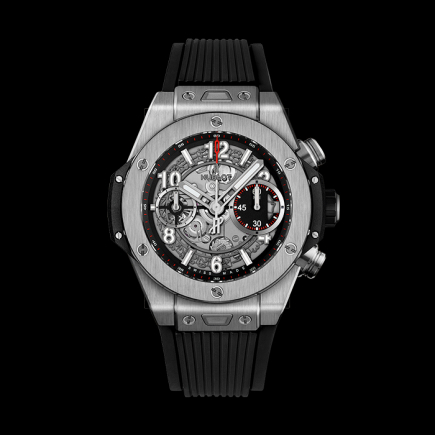 The 10-day power reserve has a dual display. 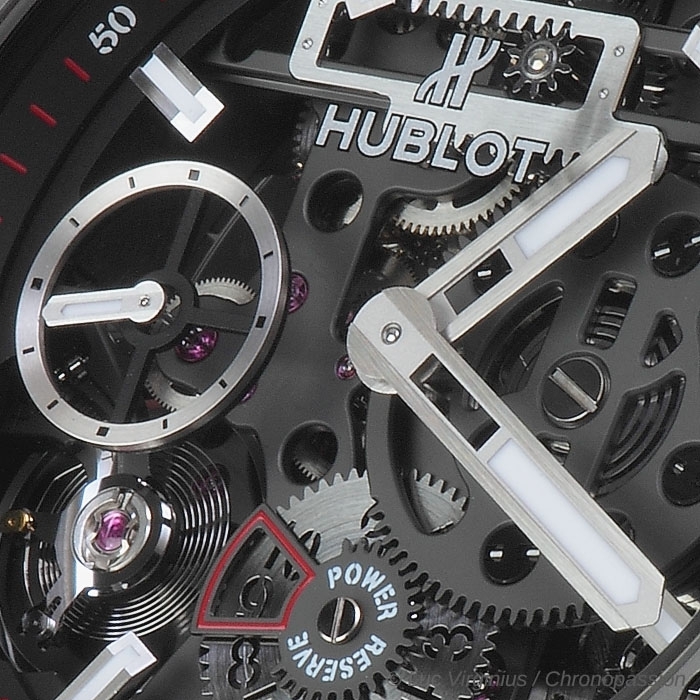 At 3 o’clock, an opening gradually reveals a red spot during the last 2 days of the movement’s charge. 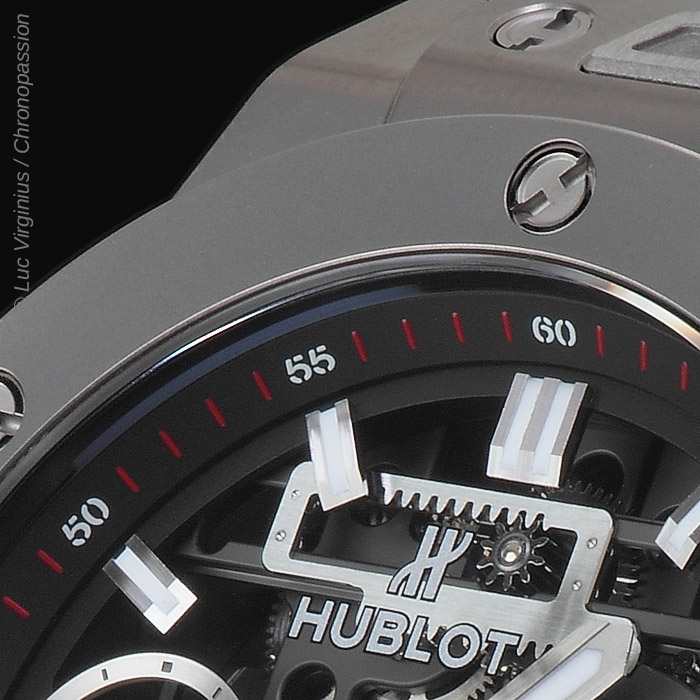 At 6 o’clock, a crown gear marked from 0 to 10 indicates the remaining days of the power reserve. 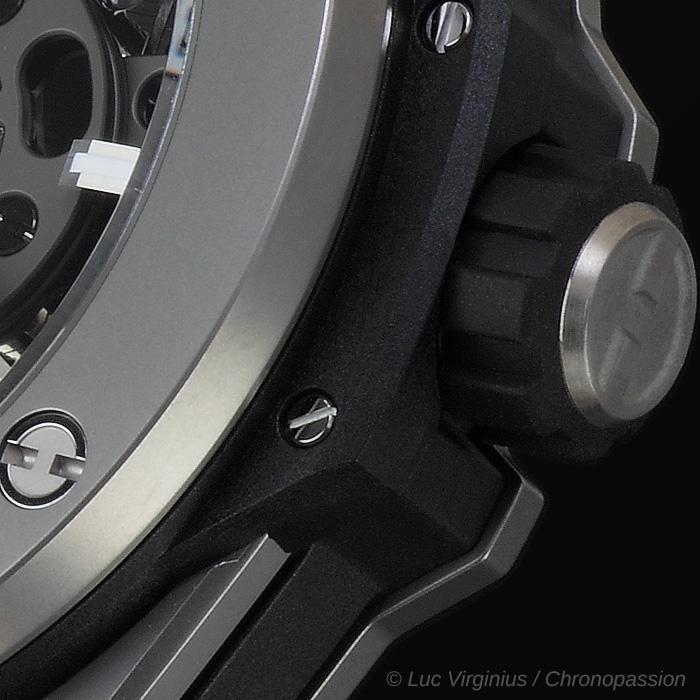 Perfecting this Meccano style, the regulating organ is visible beneath the dial at 7 o’clock. 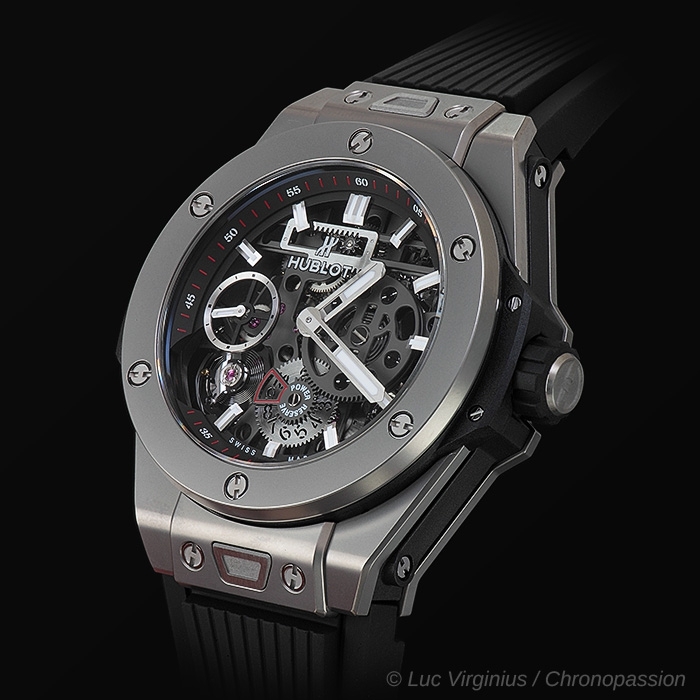 In black PVD—a dedication to 10 years of the All Black concept—its endings have had to adapt to the geometry and hardness of the bridges. 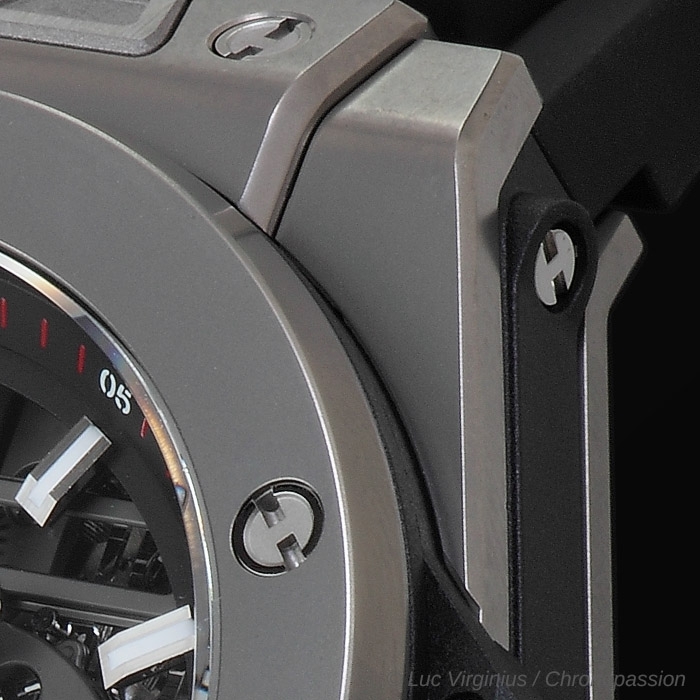 These are very fine and transversal bridges rendered distinctive and almost invisible by their original insertion and execution. 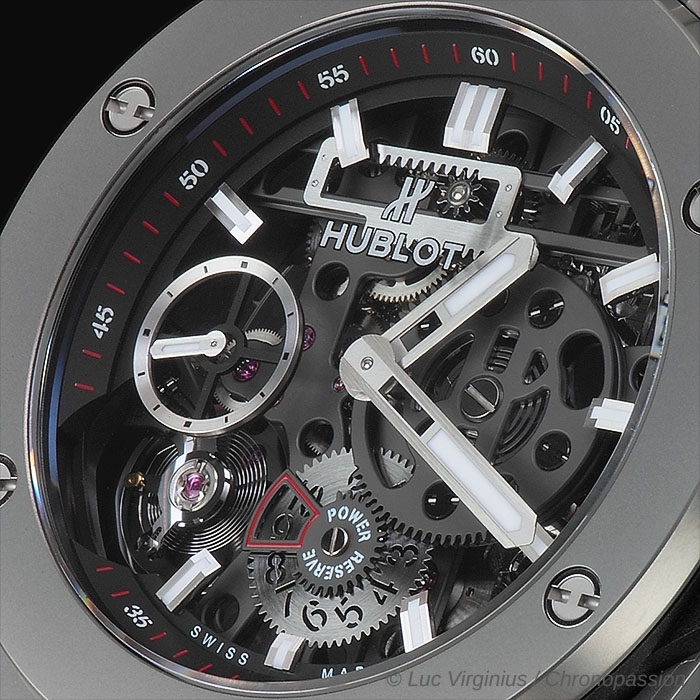 A powerful movement which—thanks to its impressive power reserve—will see its calibre develop at the whim of additional modules. 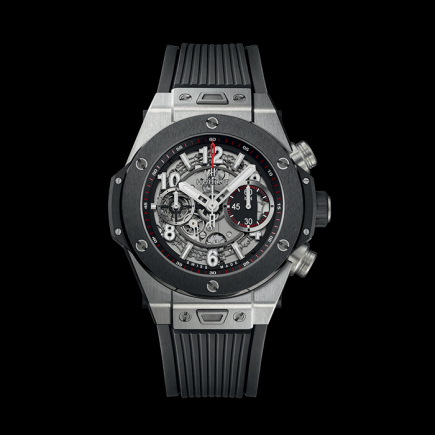 In micro-blasted titanium, the Big Bang MECA-10 Titanium marks the entrance of a new reference in the collection, with a matt black skeleton dial and a sapphire glass back enabling a double-sided vision of the new HUB1201 manufacture movement. 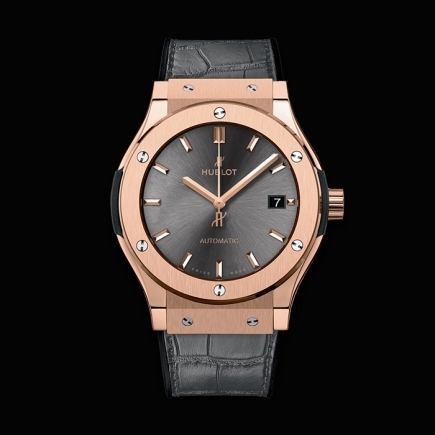 As for the “One Click” strap, it comes clad in ribbed black natural rubber.